Mauli. 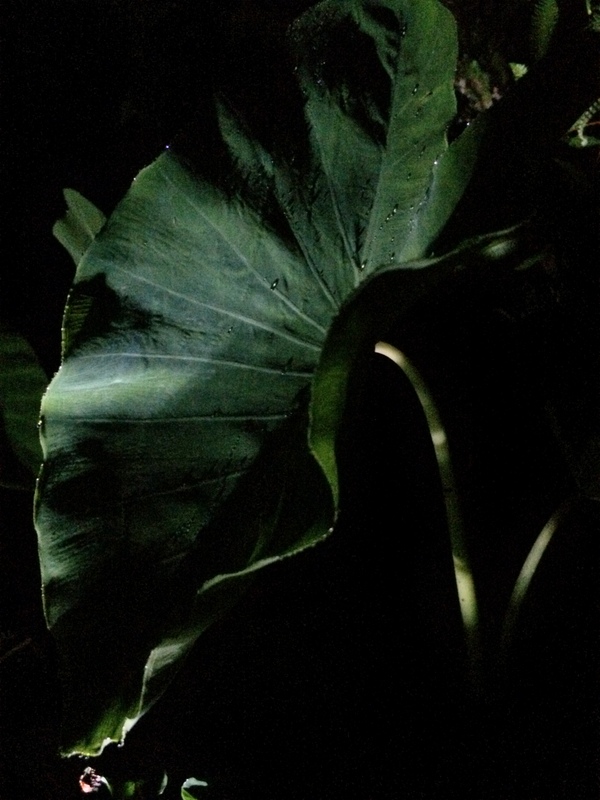 Kalo plants thriving in this māla in upper Puna in the wet darkness of mauli. Huli journeyed all the way from Waipi‘o and are adjusting well to a cool, cloudy, forest environment almost 3,000 feet higher in elevation, in an atmosphere tinged with volcanic smoke, devoid of running water.